Keeping track of many shapes and the different variables that control aspects of those shapes can get very complex. There will be lots of variables with different variable names. Instead computer scientists created something called an object which allows for one variable name to control both the shape and all its aspects. In Game Lab we use a certain type of object called a sprite. 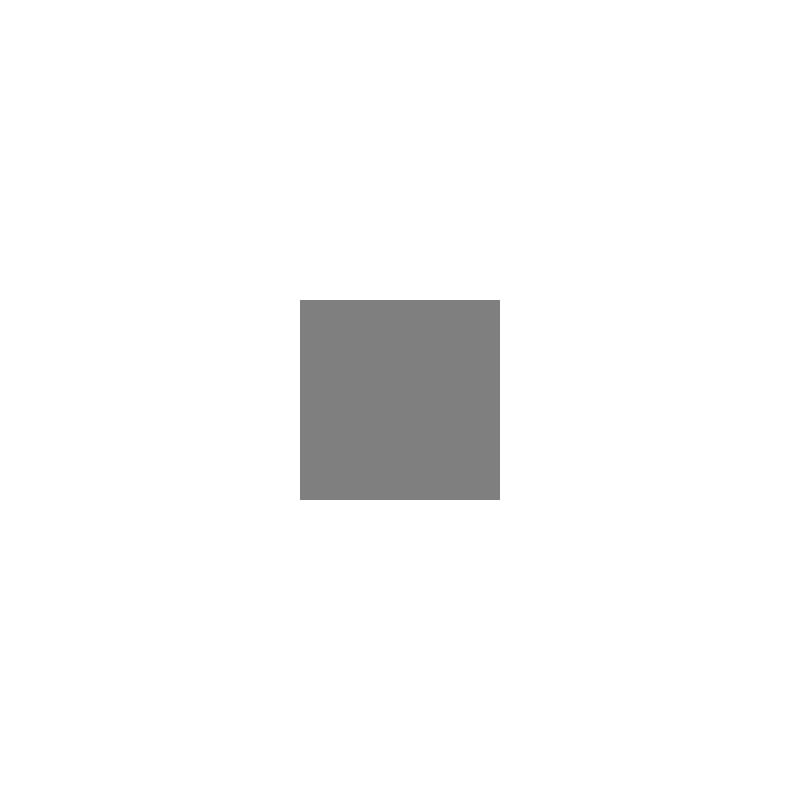 A sprite is just a rectangle with properties for controlling its look. 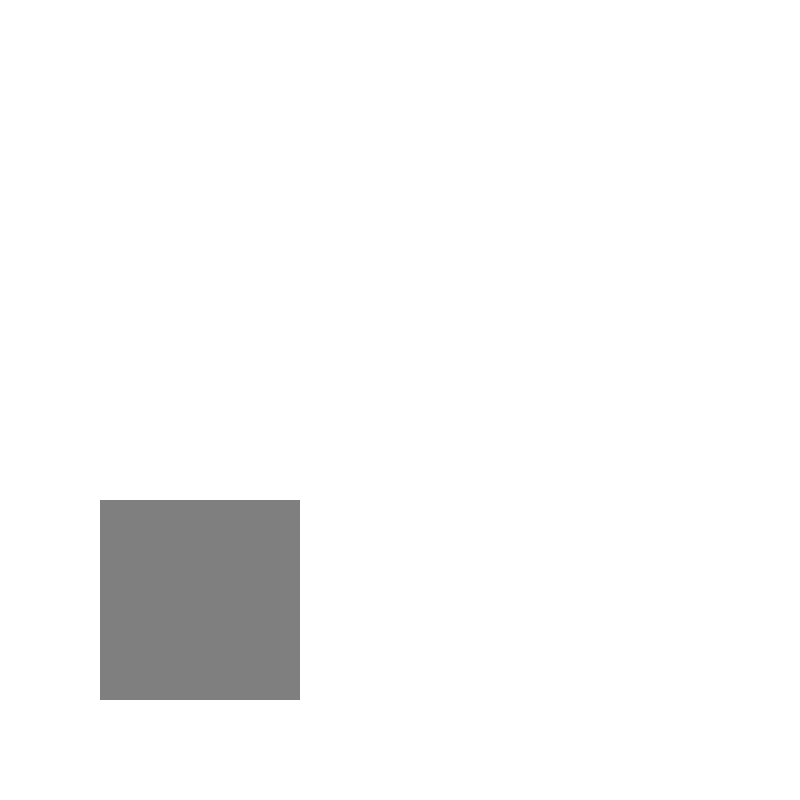 Properties are the variables that are attached to a sprite. You can access them through dot notation. Using the Animation Tab, students can create or import images to be used with their sprites. Later on, these sprites will become a useful tool for creating animations, as their properties can be changed and updated throughout the course of a program. 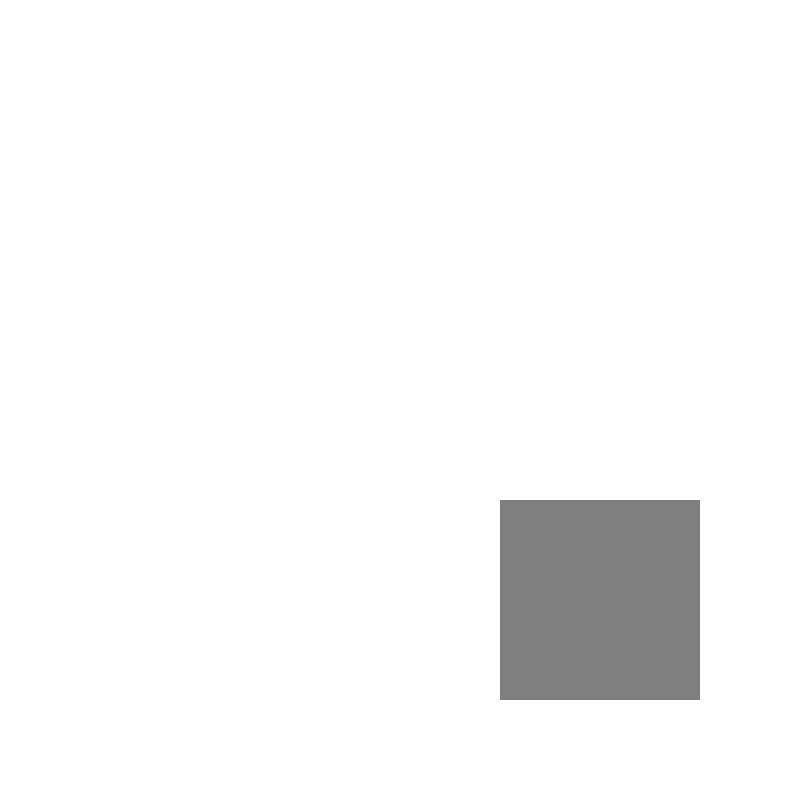 Sprite - A graphic character on the screen with properties that describe its location, movement, and look. The goal here is to get students thinking about all of the different values that go into drawing a single shape on the screen, and how many more values they may need to control a more detailed character in a program. If students are struggling to come up with ideas, you might use some of the following prompts: How do you tell a shape where to go on the screen? How do you tell a shape what size it needs to be? How do you tell a shape what color it should be? What about its outline? What if you wanted to change any of those values during your program, or control other things like rotation? Think, Pair, Share: So far we've only written programs that put simple shapes on the screen. Come up with a list of all of the different pieces of information that you have used to control how these shapes are drawn. Prompt: What if we wanted to create programs with more detailed images, maybe even characters that you could interact with? What other pieces of information might you need in your code? Today we'll learn how to create characters in our animations called sprites. These sprites will be stored in variables, just like you've stored numbers in the past, but sprites can hold lots of pieces of data, which will allow you to create much more interesting (and eventually animated!) programs. Distribute: (Optional) pass out copies of Sprite Scene Planning - Activity Guide. Students can use this sheet to plan out the Sprite Scene they create at the end of this lesson, but the planning can also be completed on scratch paper. Share: Allow students to share their Sprite Scenes. Encourage students to reflect on their scenes and identify ways in which they'd like to improve. To assess Sprite Scenes, ask students to do a "talk through" of their code with you. 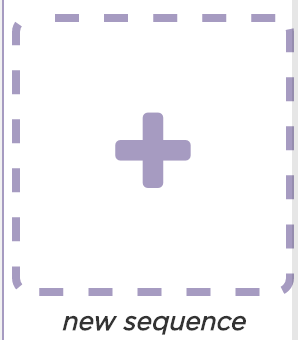 Check to ensure that students know why they sequenced their code the way they did, and in particular look for "dead code", or code that doesn't impact the final scene. At this point it's likely that students are still drawing shapes before they draw the background (which then won't be seen) or that they are calling drawSprites() multiple times (it only needs to be called once). Creating Sprites: creates a new sprite and assigns it to a variable. The default name is sprite, so you'll want to change it to something more meaningful. Drawing Sprites: Sprites only appear on the screen when you draw them there. Calling will draw all of your created sprites on the screen. This program includes comments that let you know where to place code but otherwise is blank. Your program should look like the image on the right. Add var sprite = createSprite(200, 200) under the comment Creating Sprites. You can ignore the yellow triangle warning for now. It's just telling you that you haven't used your sprite yet. Add drawSprites() under the comment Drawing. Run the code to draw your first sprite on the screen. 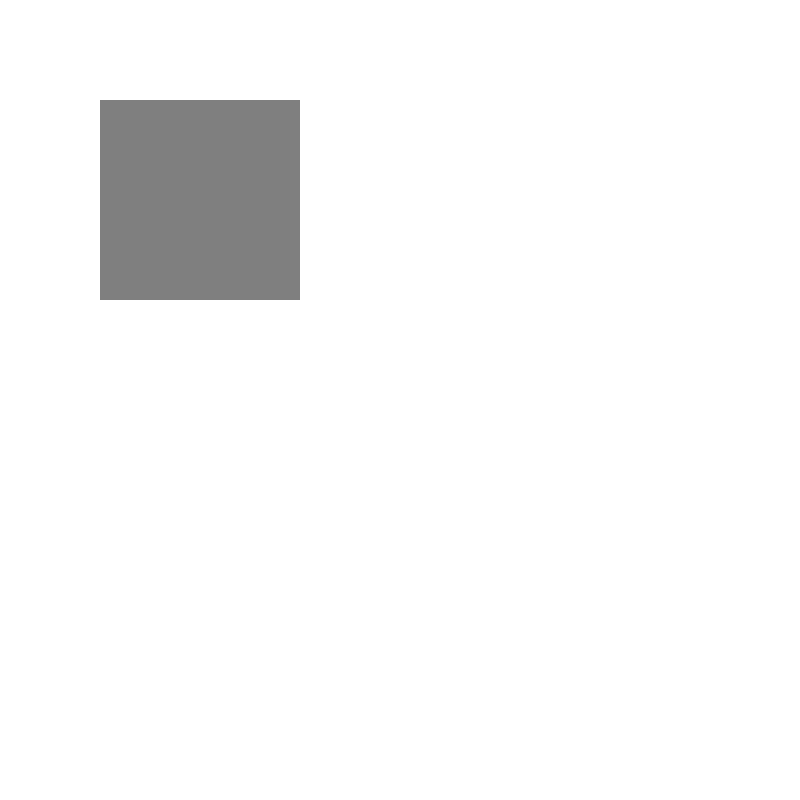 Hint: Sprites are drawn from their center, which means that center of the square (not the top left corner) is at (200, 200). When run, where will the sprite mySprite be located? This program should create two new sprites, one on the left of the screen and one on the right, but it's only drawing one. You don't need to add any code, just rearrange the code already present to make sure that both sprites show up like the picture on the right. Over on the Animations Tab, you'll see three images that have been loaded for you. You can get to the animations tab by clicking the Animation button above the display area. 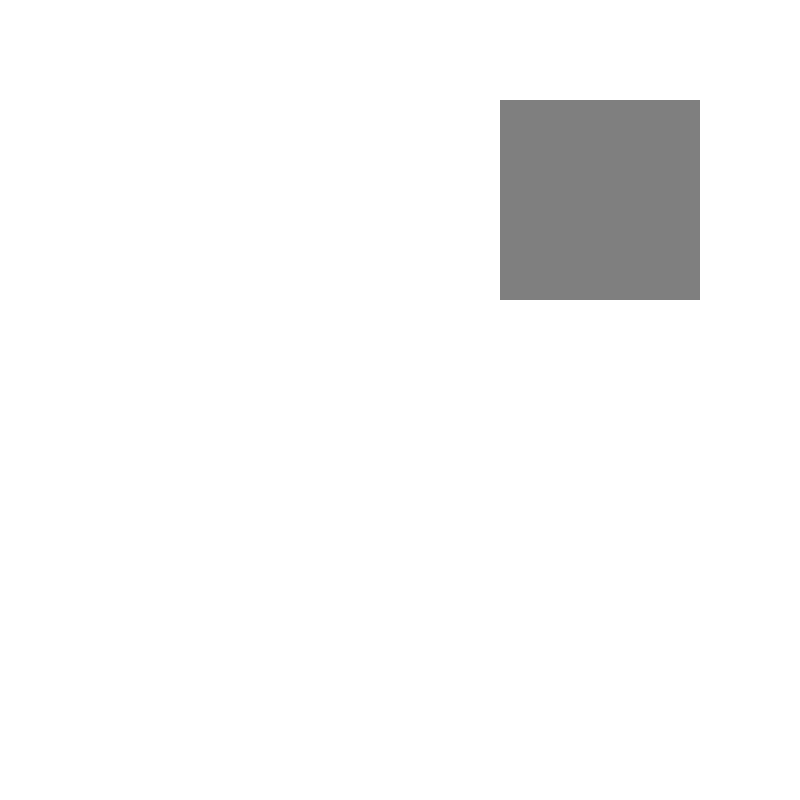 Once you have created a sprite, you can use the sprite.setAnimation() command to change the look of your sprite from a rectangle to a picture. All the images you have loaded in the Animation Tab show up in the sprite.setAnimation() dropdown. The alien is set up for you as an example. Change the sprite to your favorite image from the animations tab. 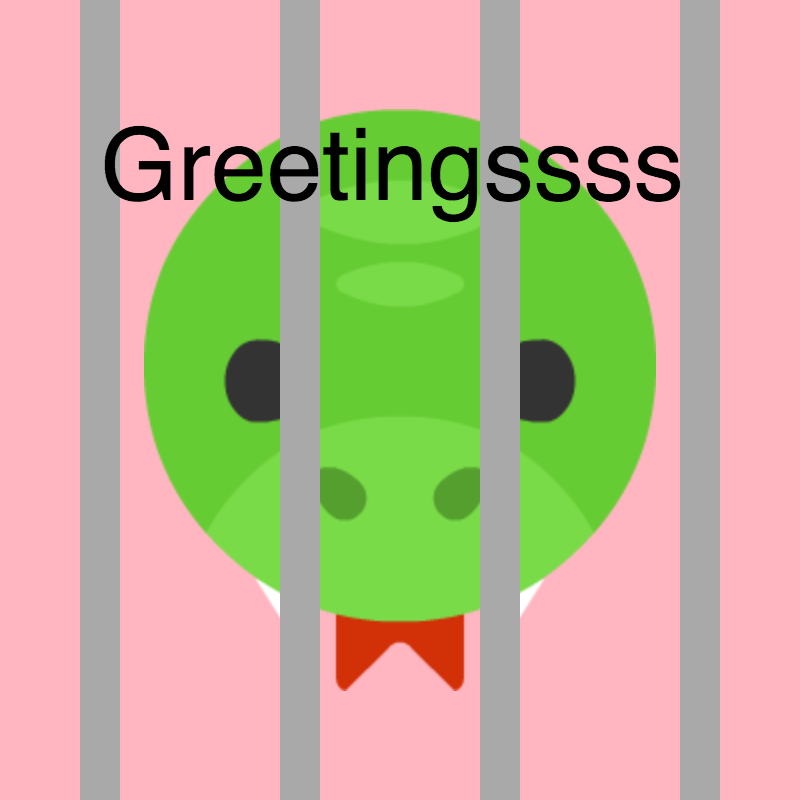 A sprite that is set to an image has already been created for you. Change the input to the setAnimation command to change the look of the sprite. Try out all the different images. You can also use the Animation tab to upload or draw your own image. You are going to make a flying kite. You can search the web for an image or create a new animation from scratch by drawing your own kite. Download your kite image. Images with transparent backgrounds work best. 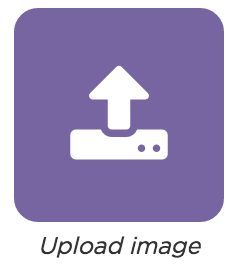 Click and then to upload an image. Rename your image so it is easy to remember. To rename it click the text below the image. Back in code mode, use sprite.setAnimation() to make your kite sprite show your new animation. Don't worry if your kite image is too big! You'll learn how to fix that in the next level. In the Sprites drawer of the toolbox, you'll see a new block called sprite.scale. It lets you change the size of a sprite in relation to its original size. sprite.scale = 1 is the normal size. sprite.scale = 0.5 makes your sprite half as big, while sprite.scale = 2 makes it twice as big. The program should already include your newly uploaded image, but it's probably not the perfect size. Use sprite.scale to change the size of your kite sprite. Hint: the order of your code matters! You need to add sprite.scale after you've created the sprite, but before you draw the sprite with drawSprites(). For clarity, try to keep all of your sprite code together at the top of your program. You can put text anywhere you'd like on the screen using text. Change the displayed text in the provided code, then add a second text to write in a different part of the screen. Tip: The default text size is pretty small, but you can use the textSize block to change that. You can also use fill to change the color of your text. This scene has all the right code, but it's not in the right order. The scene should look like the image to the right. 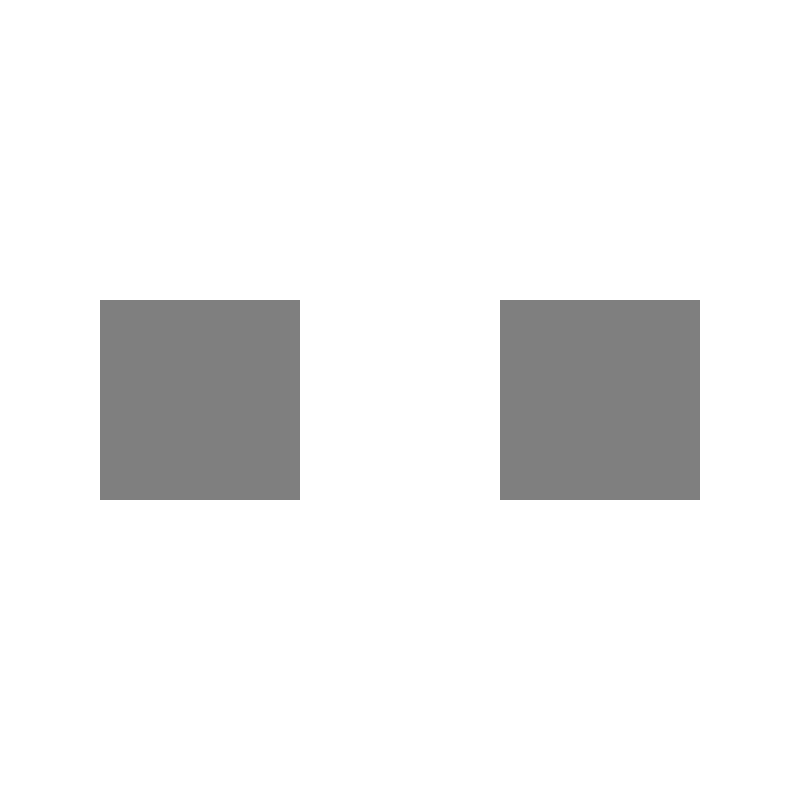 Can you reorder the blocks so that each part of the scene is drawn in the correct order? By combining shapes, sprites, and text, you can create simple scenes, stories, or comics. While this example is fairly simple, you can combine as many sprites and shapes as you like to create scenes as complex or detailed as you like. Before moving on, take a second to sketch out a scene that you'd like to make at the end of this lesson. Consider the simple shapes that you've used in the past, sprites for your characters, and any text that you'd like on the screen. Once you've sketched out an idea, you'll learn about text and how to compose a scene. You're going to start creating a scene of your own. If you haven't already, take a minute to sketch out a picture of your scene (consider using graph paper). Once you have an idea and plan for your scene, start drawing the background. Use a background() command to fill the screen with a color. Add any necessary shape commands to draw the non-sprite elements of your scene. With your background in place, it's time to add your sprites. Add or create all of your sprite images in the Animation Tab. Create a variable for each sprite at the top of your program and use setAnimation() to assign the images you created in the Animation Tab. Call drawSprites() once at the end of your program. Hint: You probably want to call drawSprites() at the very end of your program so the sprites are on top of your background, but for some designs you may want to call drawSprites() earlier so that your sprites are on top of some shapes but below others. The final piece of your scene is to add text. Add a text() command for each separate line of text. If necessary, use fill() and textSize() to change the appearance of your text. Hint: Most scenes have the text on top of everything else, which would require your text() commands to be the last lines in your program. If, however, you want the text layered in with other elements, you might consider changing the order. Check with your teacher before starting this challenge. Now that you've finished your scene, consider adding to it or creating another.